She grew ever more bejewelled, seemingly encouraged by her husband. 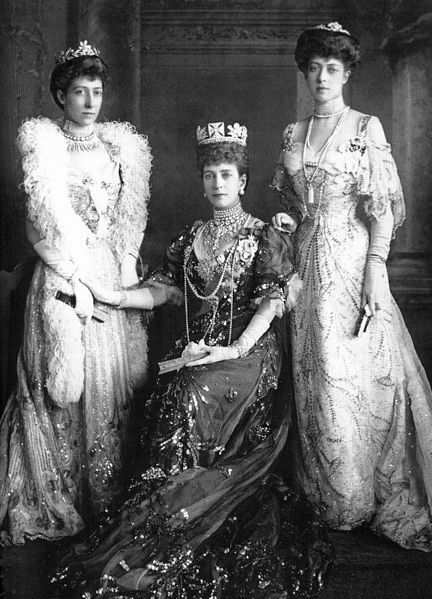 Bertie spent lavishly on dresses and jewels for Alexandra - much to his mother's despair - and was a stickler for protocol. Throughout Queen Victoria's reign and her husband's own, Alexandra's popularity never wavered. In fact, she was a fashion icon and set several trends. It is believed that to hide a small scar she had on her neck, she wore choker necklaces and high necklines, a fashion trend adopted by society ladies for fifty years. Even her limping gait, caused by a bout with rheumatic fever, was so popular that ladies also followed what was known as the "Alexandra limp". Not even the exacting standards of the Court bothered her. 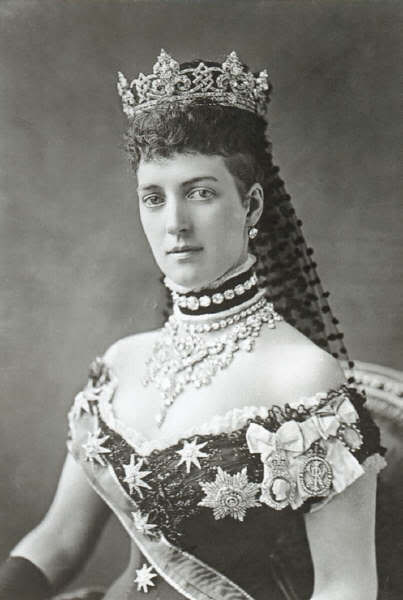 Alexandra wore faux jewels when she wanted so. She managed to retain her youthful look through her senior years. World War I and the tragedy that befell Dagmar's family proved too much for her and age eventually caught up. Then she started wearing elaborate veils and heavy makeup. She suffered from a fatal heart on November 20, 1925 at Sandringham, still dearly beloved by a nation who adored her to this day. 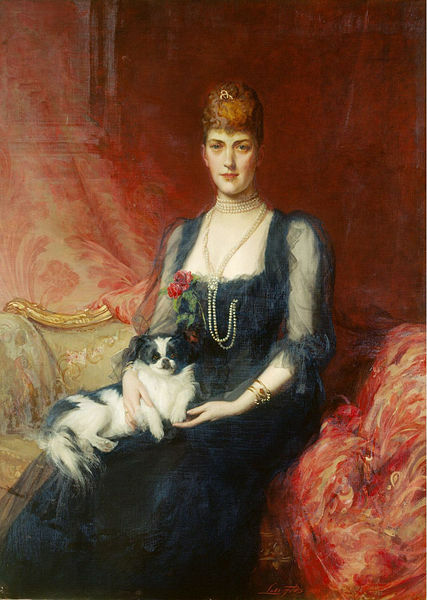 A portrait of Alexandra, Princess of Wales, c1893. 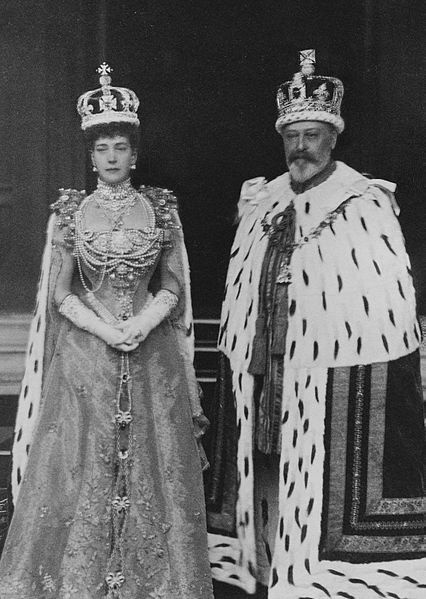 King Edward VII and Queen Alexandra in coronation robes, 1902. Did you know you can create short links with AdFly and get $$$$$ for every visitor to your shortened links.